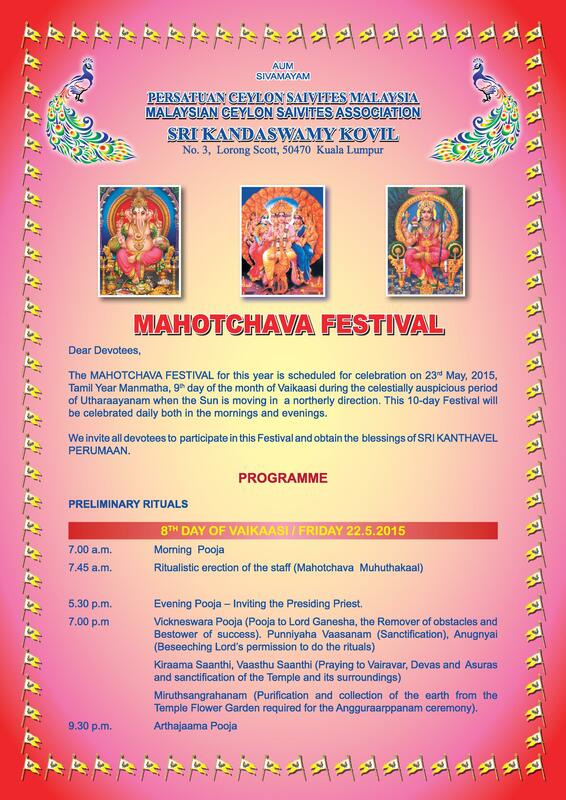 The Mahotchava Festival for this year is scheduled for celebration on 23rd May 2015, Tamil Year Manmatha, 9th day of the month of Vaikaasi during the celestially auspicious period of Utharaayanam when the Sun is moving in a northerly direction. 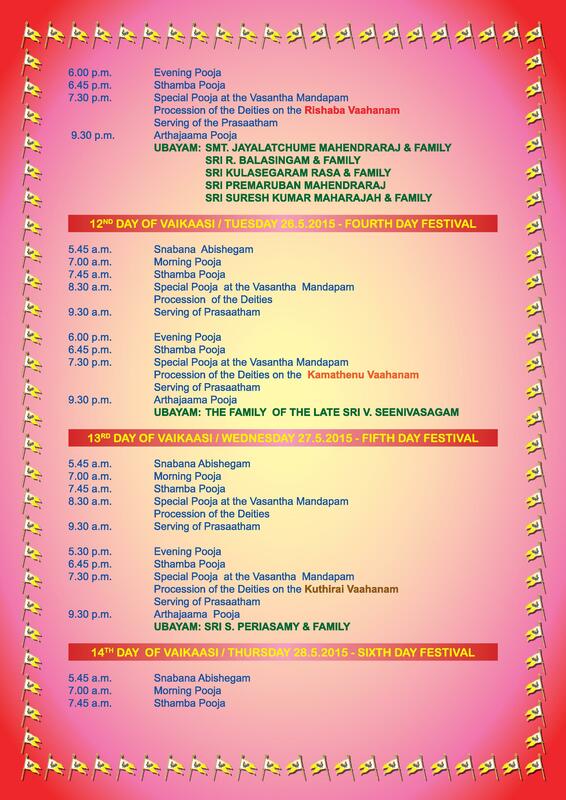 This 10-day Festival will be celebrated daily both in the mornings and evenings. 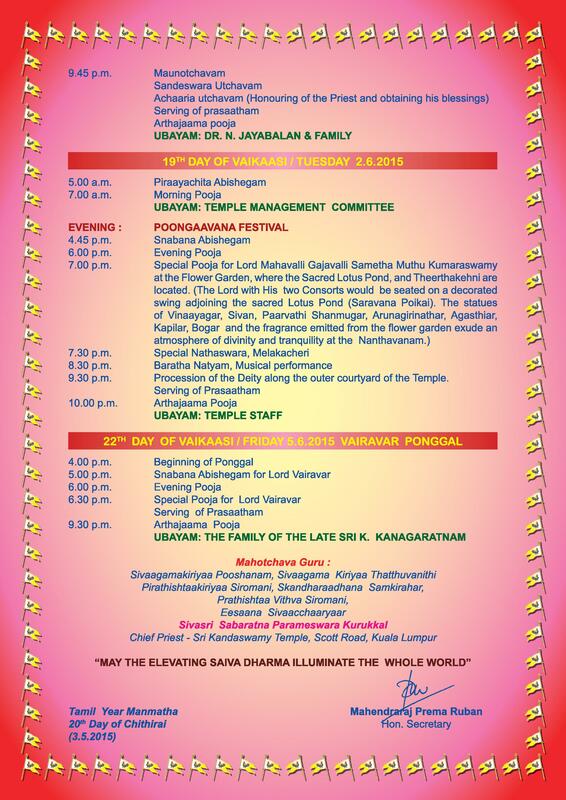 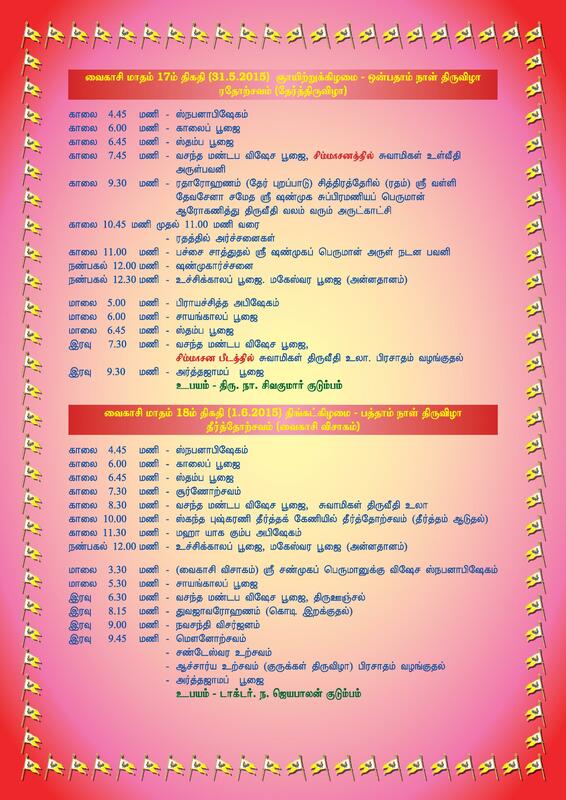 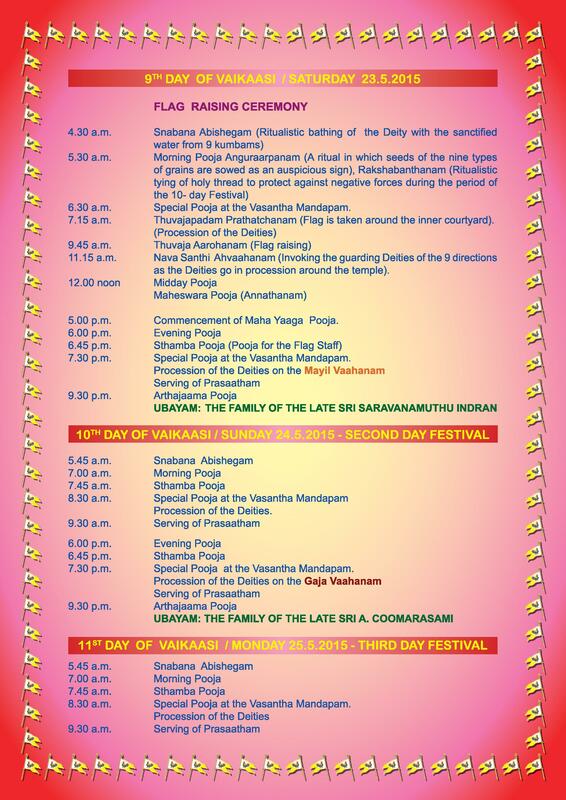 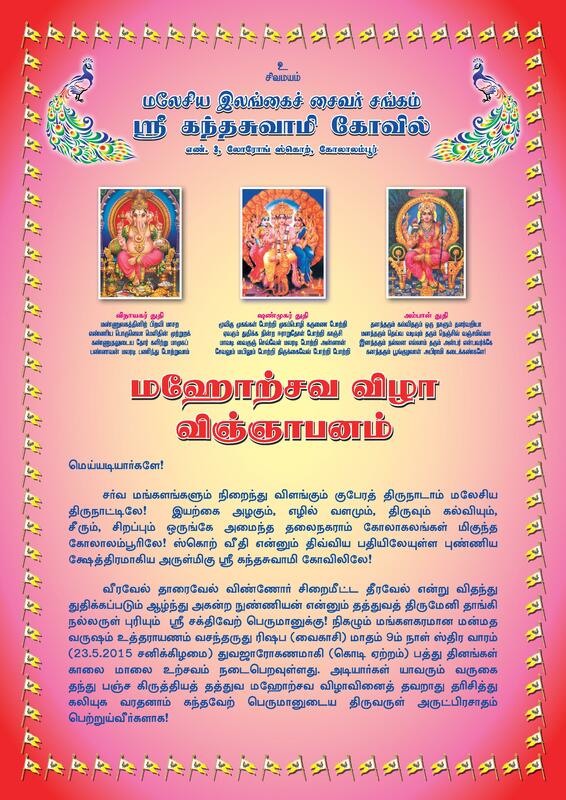 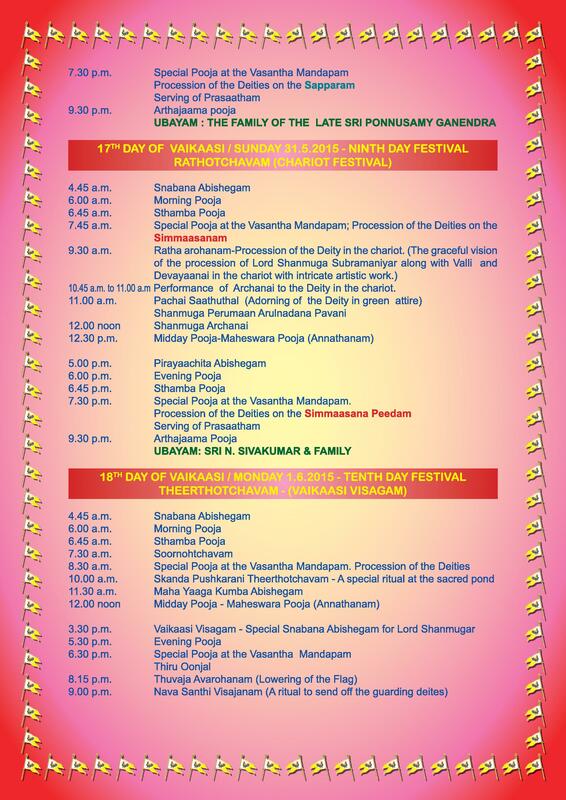 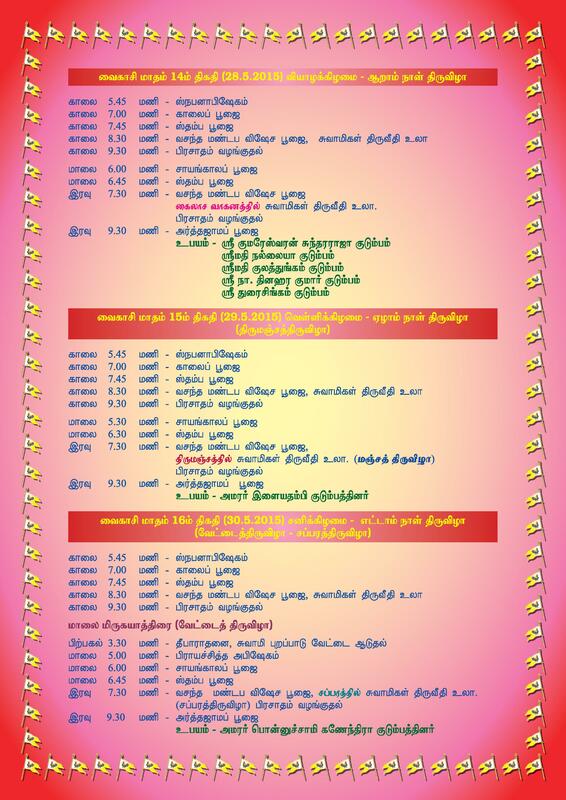 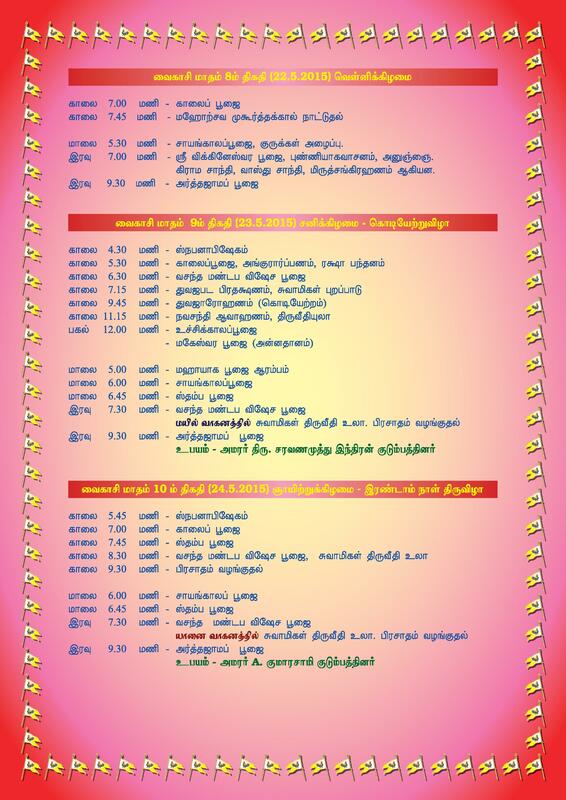 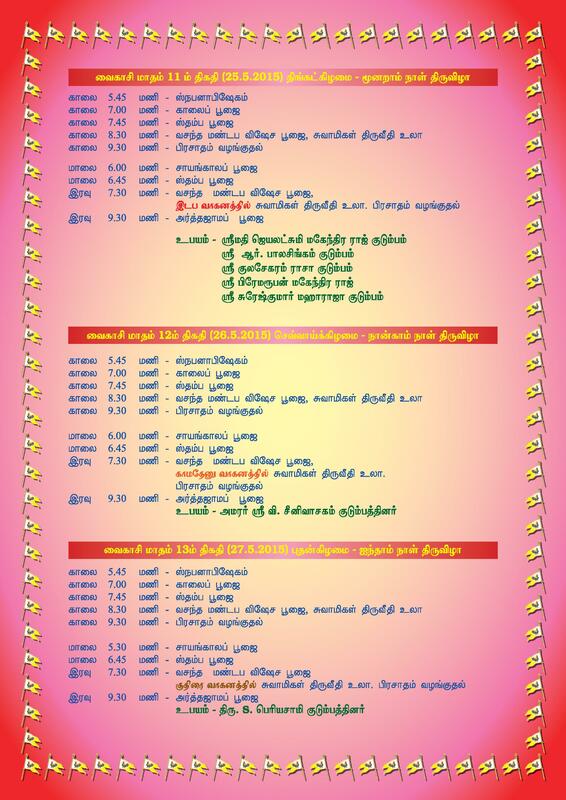 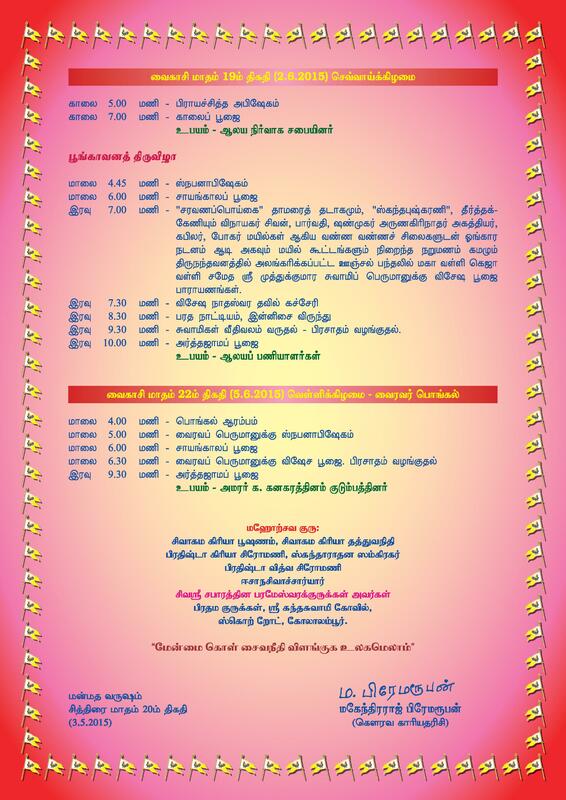 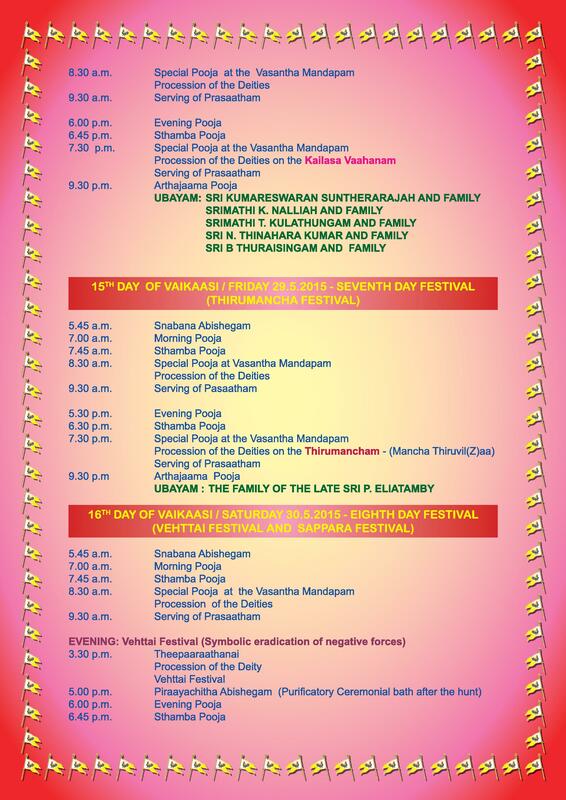 We invite all devotees to participate in this Festival and obtain the blessings of Sri Kanthavel Perumaan.